Clearfield County has plenty of room for hunters, and special seasons for bow and muzzleloaders. Several sportsmen's groups in the area also hold shoots and contests throughout the year, which are open to the public. Make Clearfield County Your Next Hunting Hot Spot!! If you’re looking for the ideal place to track your trophy, the Backwoods of Clearfield County are the best. 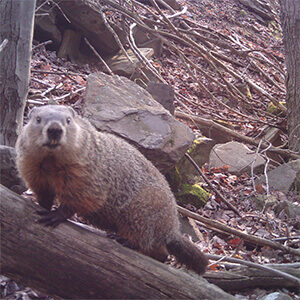 You’re welcome to take advantage of big game, small game and predators of trophy size right here in Pennsylvania. Clearfield County is regularly in the top ten counties in the state for whitetail deer, bear and turkey harvests. While whitetail populations have been down across all of central Pennsylvania for the last few years, Clearfield County is now coming back strong, and the quality of our whitetail bucks is far better than it has ever been. Chances of harvesting a buck worthy of mounting are easily tenfold over just five years ago. Bear Hunters, our bear population in Clearfield County is at a record high. Every year some of the largest bears in the harvests come from Clearfield County. 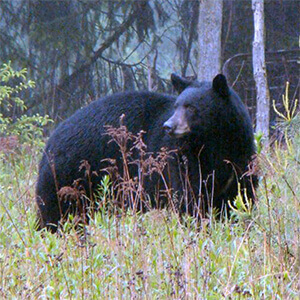 Pennsylvania has adapted the laws for bear hunting making it easier for out of area hunters to enjoy quality hunting time. For all you avid turkey hunters, Clearfield County is the place to be. There’s turkey everywhere!! The populations are at record levels and success rates are high. Spring gobbler season has new expanded opportunities allowing hunters, after the first week of season in 2011, to stay in the field all day long. Why not make this exciting season longer and apply for a 2nd spring gobbler tag. Become a part of one of the world’s largest coyote hunts. This event brings in sportsmen from many states and has had as many as 5,000 participants. The Mosquito Creek Sportsmen’s Club holds this lucrative coyote hunt for three days each February. The top cash prize is over $5,000 for the heaviest coyote harvested. The club initiated this hunt in the mid 1980’s in an effort to help local sheep ranchers protect their herds from further devastation by these keen predators. Several other clubs hold events this same time of year, and with all the coyotes in Clearfield County you could be a BIG winner. There are thousands of vast acres of State Forest Lands and thousands of acres of private land in Clearfield County. We recommend you ask permission before entering someone’s private property. After the first few days of season opening, you can find solitude in this beautiful vast mountainous area. When you get back away from the great network of state forest roads, you might hunt all day and not see another hunter. You can also contact Black Hills, LLC and inquire about a lease to hunt the more than 13,000 acres of thicket, grapevines and Mountain Laurel. One of Clearfield County’s newest wildlife additions is the presence of the Rocky Mountain Elk. Pennsylvania’s Elk heard is expanding into northern Clearfield County. You can usually find these majestic creatures late in the evenings near the towns of Shawville, Frenchville, Karthaus and in the Quehanna Wild Area. You won’t want to miss the sound and sight of a Bull Elk bugling. From September thru early October the elk experience will send chills up your spine and turn you into an Elkaholic. If you have any questions about where to go hunting or need to gear up for a hunt, Clearfield has three of the best sporting goods stores you’ll find anywhere! Find everything you will need to complete your one-of-a-kind hunting experience. Come hunt with us, and enjoy all the diversity and opportunity Clearfield County has to offer.